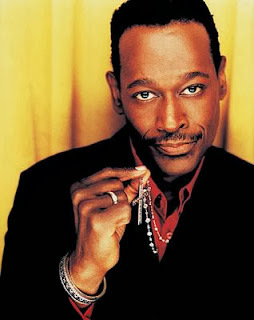 Luther Vandross was a magician on stage. He’s one the reasons why we consider singers “Artists”. He creates art with his voice. He can tell a story and paint you a picture with his voice. His background vocalists were always amazing. I just know that’s Lisa Fischer back there with those crystal clear high notes. The music world misses this guy because he always reminded us what music is and what it should be. Luther was the greatest balladeer of all time. If Luther is the standard for the male singer, I have to say all you bastards on the top of the charts are failing. Listen to Luther Vandross on "Superstar/Until You Come Back To Me" and he will give you 13 minutes of pure bliss.